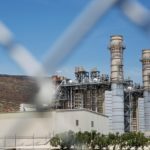 From inewsource reporters Chris Young and Ingrid Lobet, an investigation into how a buying binge of power plants led to a boost in electricity rates for San Diego residents, now among the highest in the nation. Deals were struck that may have also set the stage for ongoing criminal investigations. Inewsource is a San Diego based nonprofit news organization. NEW ORLEANS — It all began with a tweet from a lady working in an organization concerned about governance of water bodies such as rivers. On responding to the tweet, she informed me of the danger that was being posed to Lake Turkana in Kenya due to the construction of Gibe 111 dam in Ethiopia, urging me to follow up on the story. I went a notch higher and presented a proposal to the Fund for Investigative Journalism to investigate the story, which was accepted. It is because of this investigative series that highlighted the plight of Kenyans and even Ethiopians that I landed an opportunity to attend the Investigative Reporters and Editors conference in New Orleans in June 2017. 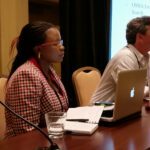 It was a time for the crème de la crème in investigative reporting globally to converge in New Orleans to share their work and share ideas on how to make investigative reporting better. Sessions explored several themes ranging from data journalism, health reporting freelancing and business journalism. I was happy to be a panelist in the session on uncovering stories on the environmental beat, alongside other journalists from the Society for Environmental Journalists (SEJ). I was able to share my work in environmental reporting in Kenya with conference participants.